What is Hypnosis really about? 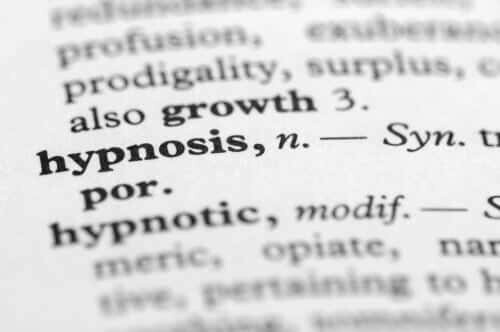 Hypnosis is simply a state of relaxation and has been around for many hundreds of thousands of years. Hypnosis has unfortunately suffered from reputational issues over the years in the UK, as members of the general public have either seen or heard of stage hypnosis shows (including TV shows). People then naturally start to think that this must be what all hypnosis is like and about. The great success stories about how Hypnosis helps so many people get’s lost amongst the other ‘noise’. Here at Unleash Your Potential, we use hypnosis as part of the work with do with individuals and therefore we refer to what we do as Hypnotherapy. Hypnosis (sometimes referred to as ‘trance’) is a “state of mind” that many of you experience everyday (for example day dreaming, or forgetting parts of a car journey). It’s often when the conscious mind, the logical thinking part of your mind, takes a step back and allows the unconscious mind to run the show for a period of time. All Hypnosis is self-hypnosis; a way of accessing the unconscious mind and is a normal state that increased relaxation. By self-hypnosis, I mean that you are in control – I can make suggestions to you, but ultimately you decide if you take on board my suggestion or follow my instructions – you could of course decide not to. Your unconscious mind always protects you and this is never more true when it comes to hypnosis. You see, the thing is, your values will always protect you (and these are held at the unconscious level in your mind). If you were to make a suggestion to someone when they were in a state of trance and it went against their values – that would bring them straight out of trance (in fact it is the fastest way to bring someone out of trance – its not advisable to do it). People don’t do things in trance that they wouldn’t ordinarily do out of trance. If you were in trance and the fire alarm went off, you would get up and leave the building – trance is not a state of being unconscious. Trance, if you like, is a way of shutting up the chitter chatter of the conscious mind, and by bypassing it that means we can help you make change at an unconscious level even faster than if we worked with you and your conscious mind alone (although I’m sure there are many conscious minds out there that would have something to say about that …. you see, they just LOVE to be involved!). For more information on Hypnosis watch the ”What is hypnosis and Hypnotherapy?” YouTube video on our Useful Links page. Here at Unleash Your Potential we offer Hypnotherapy Practitioner Courses to help you better understand what Hypnosis is really all about, to give you plenty of experience of being the client and also lots of knowledge, understanding and practice of being the Practitioner. Once you have completed our Hypnotherapy course you will have the confidence to use your new skills and experience with others straight away, having the ability to unleash other people’s potential and really make a difference to their lives.